The prospect of building wealth through successful investing has never held more appeal. But like any market, with increased demand for financial products has come increased supply. Investors are faced with what can be daunting choices. As an Investment Adviser Representative with LPL Financial, a registered investment adviser, I can help you define your long-term investment objectives and build a personalized investment portfolio designed to achieve them. I recognize the importance of getting to know you – your financial needs, your financial goals and your lifestyle. # Customize an investment portfolio that is designed to help you realize your short- and long-term investment goals. # Provide simplified performance reporting, making it easy for you to monitor your account. # Support you with ongoing professional advice, timely information about your account and updates on the world’s financial markets. # Manage your portfolio and make investment changes without commissions* as your objectives or the economic climate changes. 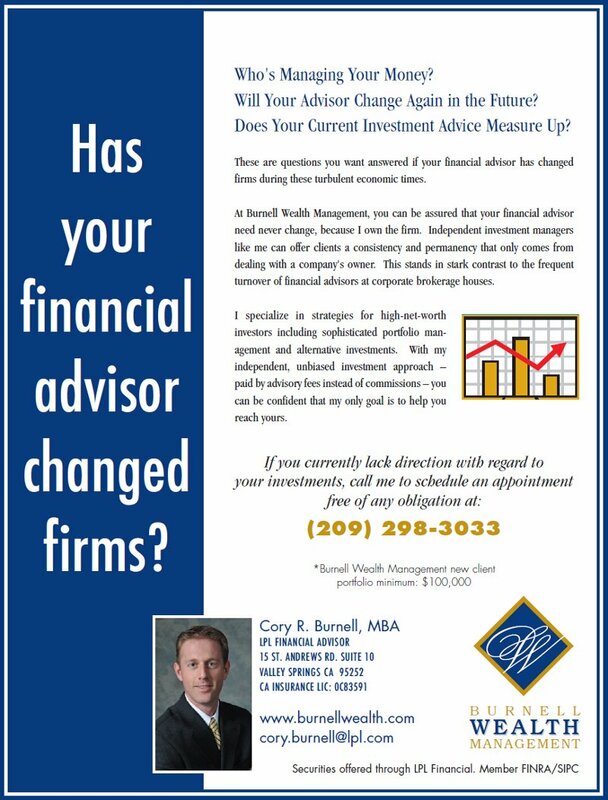 If you would like any further information about fee-based asset management or other areas of investing, please do not hesitate to contact me. * Nominal transaction charges may apply. * Strategic Asset Management (SAM) - providing you with fee-based asset management through LPL Financial, a Registered Investment Adviser. Access to over 3,500 mutual funds, as well as individual stocks and bonds.